Dr. Jack F Winner, D.C., A.K. Chest and Rib Pain – They Can Drag You Down! Chest and Rib pain can really drag you down and make life miserable. Chiropractic and Kinesiology can help get your life back on track. For a Free Health Consultation! Bring us your most challenging Health and Joint issues and see if we can find the answer and Natural Solution for You! 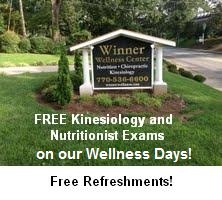 Call Now: 770-536-6600 to reserve a FREE Chiropractic and Nutritional Exam. Recovery from an Auto Accident – Amazing. Degenerative Scoliolis, Cervical Fusion – Better treatment options! Call Us Today - Tap Here Now!